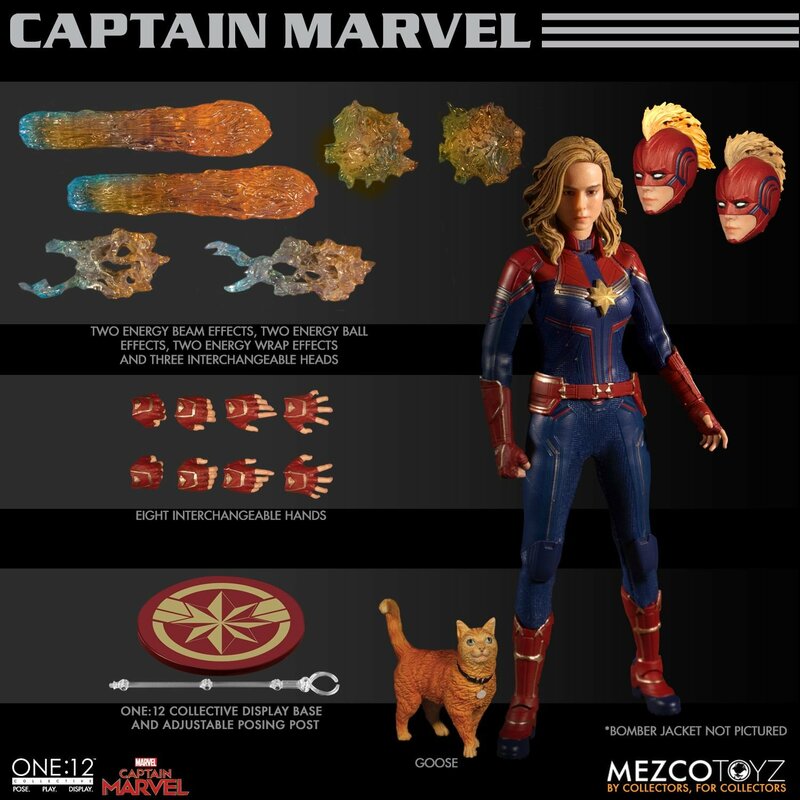 Pre-orders are now open on Mezco’s newest Marvel One:12 Collective action figure: Captain Marvel! Shown at Toy Fair last week, the figure features 3 head portraits with the likeness of Brie Larson. One masked head features glow-in-the-dark eyes, highlighting her superpowers. Captain Marvel is accompanied by her space-travel companion and pet cat, Goose.